Showing results by narrator "Ty Garafalo"
The O Line Mystery Shorts books 1 through 11 comprise the complete dramatization of the short story mystery series. Originally released as podcasts, they have been remastered for audiobook listening. Book two features episodes: #5, "The Wig That Knew Too Much"; #6, "Halloween Special Part 1: Shuck and Jive"; #7, "Halloween Special Part 2: Lorna's Father"; and #8 "Blackmail at the Gym". Set on Ohlone Island in the San Francisco Bay, island inhabitants Lorna and Annie have a penchant for discovering fraud, corruption, and murder. Set on Ohlone Island in the San Francisco Bay, island inhabitants Lorna and Annie have a penchant for discovering fraud, corruption, and murder. In the first episode, Lorna turns over the dirtiest rock in town when she attempts to rescue the downtrodden island museum. The second episode finds Lorna at odds with ice cream shop owners who accuse her of passing counterfeit money. 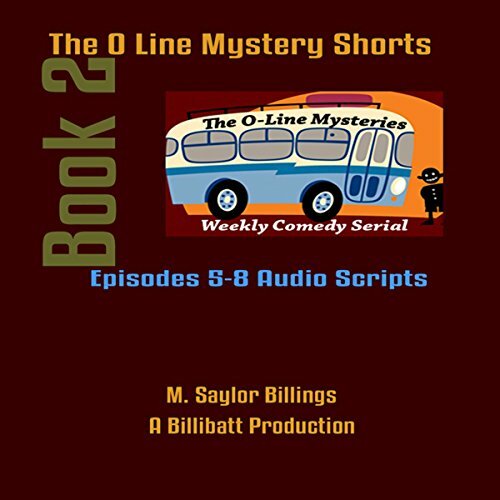 The O Line Mystery Shorts books 1 through 11 comprisethe complete dramatization of the short story mystery series. Originally released as podcasts, they have been remastered for audiobook listening. Episodes 17 and 18 are not included in the books because they were seasonal interview shows with the cast and crew. We resume the episodes in Book 5,featuring episodes: #19, "East Bay Whine"; #20, "Nobody Likes Interviews"; #21, "Three Blind Mice"; #22, "The Murdered Banker"; and #23,"Dental Damned". 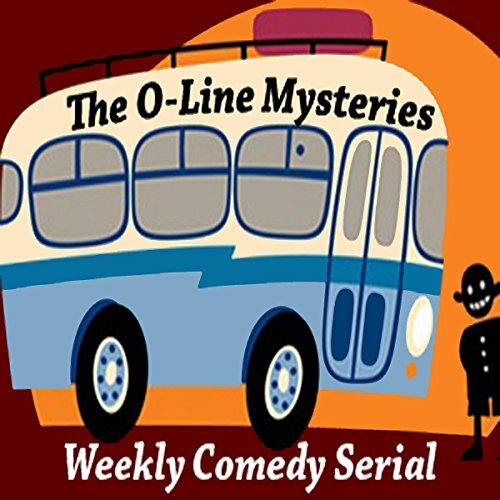 The O Line Mystery Shorts books 1 through 11 comprise the complete dramatization of the short story mystery series. Originally released as podcasts, they have been remastered for audiobook listening. Book 4 features episodes: 13. "Robbed by Numbers", 14. "Secret Santa", 15. "Book Club Scandal", and 16. "Trailer Park Tango". The O Line Mystery Shorts books 1 through 11 comprisethe complete dramatization of the short-story mystery series. Originally released as podcasts, they have been remastered for audiobook listening. Book three features episodes 9, "The Rot Is Deep"; 10, "Sally's Photo Club"; 11, "Victorian Homes Tour, Part One"; and 12, "Victorian Homes Tour, the conclusion".